The Edge Armchair in Chalk is a beautiful addition to your dining table, made specifically for stylish and comfortable outdoor dining. 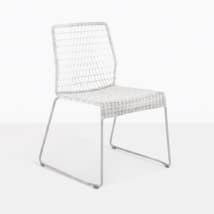 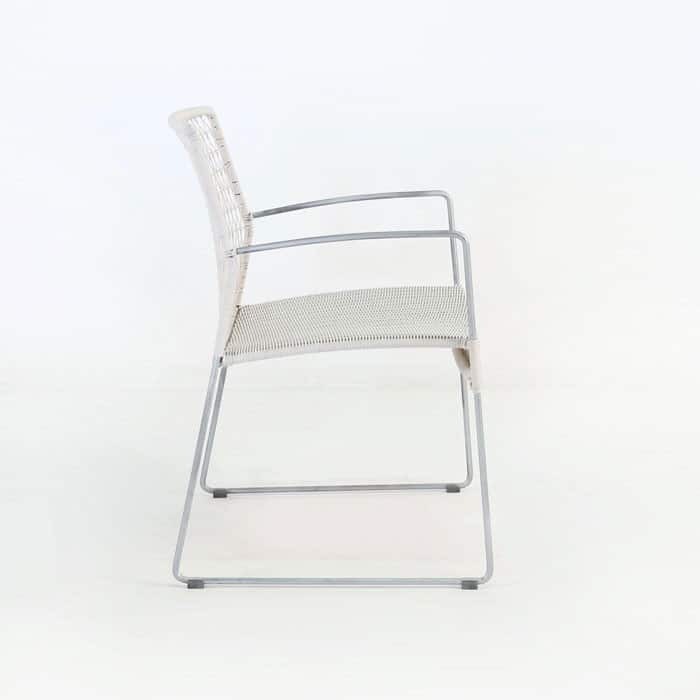 The minimal look is complemented by the strong and beautiful frame (galvanized steel) and the uses for this chair are endless. 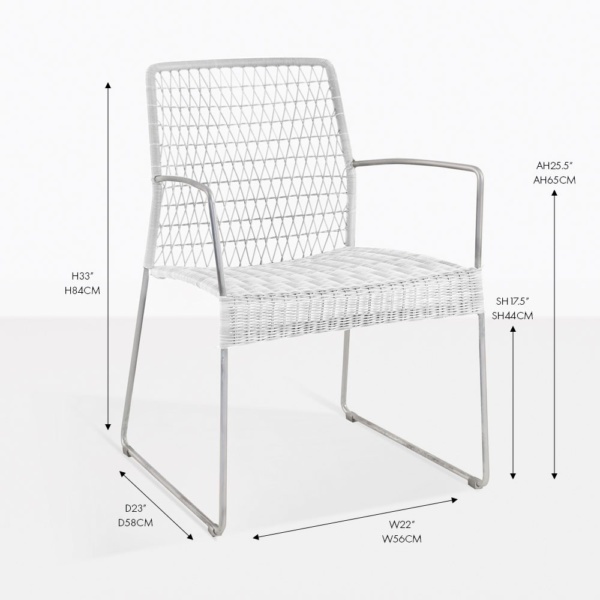 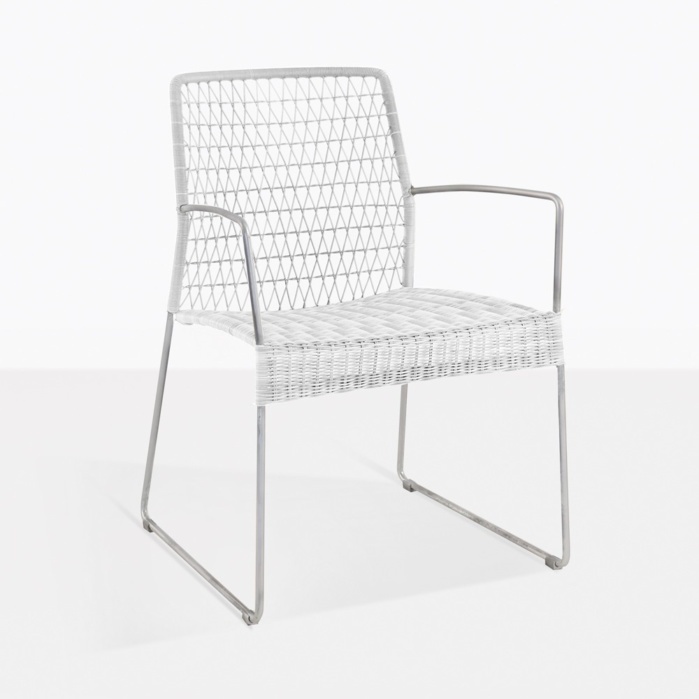 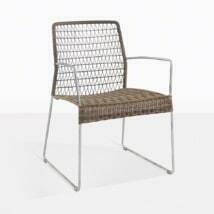 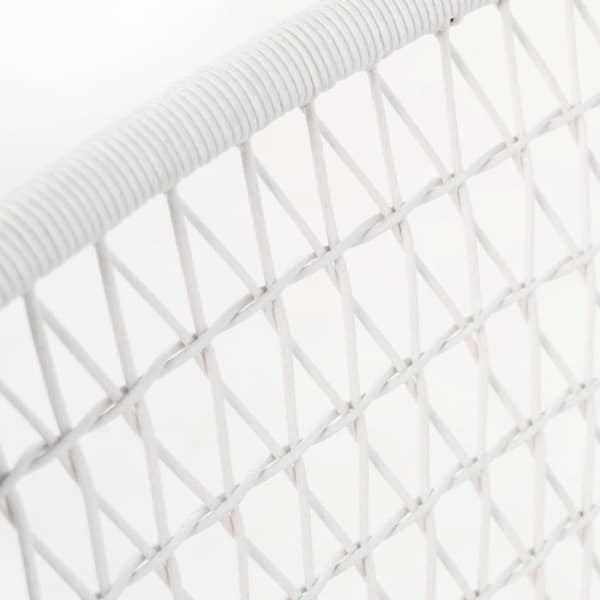 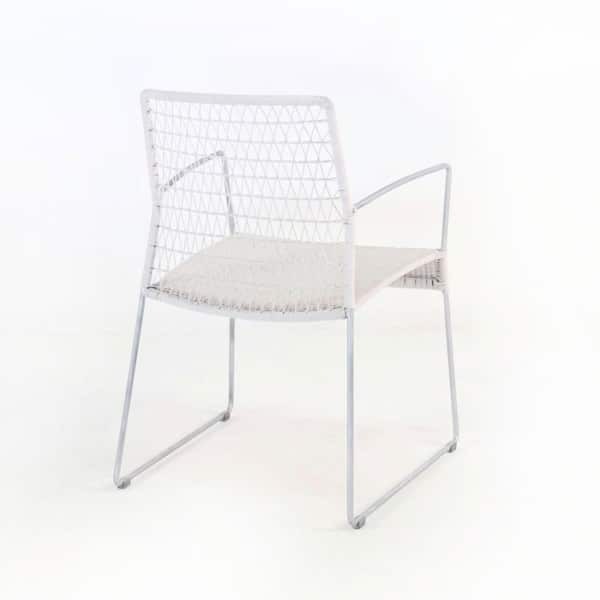 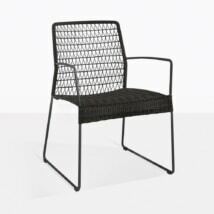 The open weave on the back gives an airy and delicate look, and the build quality, including the tightly woven Ecolene® synthetic wicker seat, give such a strong stance and statuesque appearance. 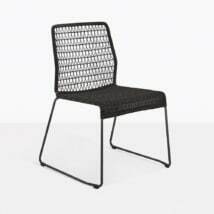 The subtle angularity in the seat back, and legs, and the slight curvature of the arms makes this a stylish and fun addition to any space and for any setting.